You can create any color nail polish by mixing your favorite color eye shadow with some clear polish! Crush your eye shadow into a powder, and put it right in the polish bottle. Add some glitter if you’d like. 🙂 You can use a little bit of eye shadow for a light tint, or add more for a richer color. Since your eye is such a sensitive part of your body, you don’t want to be using makeup removers that have harsh chemicals in it. Try making your own instead! Mix 2 tbsp extra virgin olive oil, 2 tbsp vitamin E oil, 3 tbsp alcohol-free witch hazel, and 1/2 cup of water. Pour into a travel-size cosmetic container, and shake it up. Use a little bit on a cotton ball; it takes your mascara right off, and moisturizes your lashes too! For those of you who have never used it: you use dry shampoo when your hair is a little dirty, but you don’t have time to take a shower. You spray it on your hair, and it absorbs the extra oils. It’s really useful, but it does have a lot of chemicals and synthetic fragrances. To create your own, mix arrowroot starch, cocoa powder if you have dark hair (it’s the coloring agent), and a few drops of your favorite essential oil (optional). If you have blonde hair, you can just use starch and essential oil. Give it a try! This one is super simple! Pour a 50/50 ratio of olive oil and sugar into a container, and mix it up with a craft stick. Voila! The sugar exfoliates your skin, and the olive oil moisturizes it. You can add essential oil for a natural fragrance, if you’d like. Hi there! My name is Victoria, and I run The Whimsical Chick. I’m a 22 year old makeup lover, and an ESL teacher. 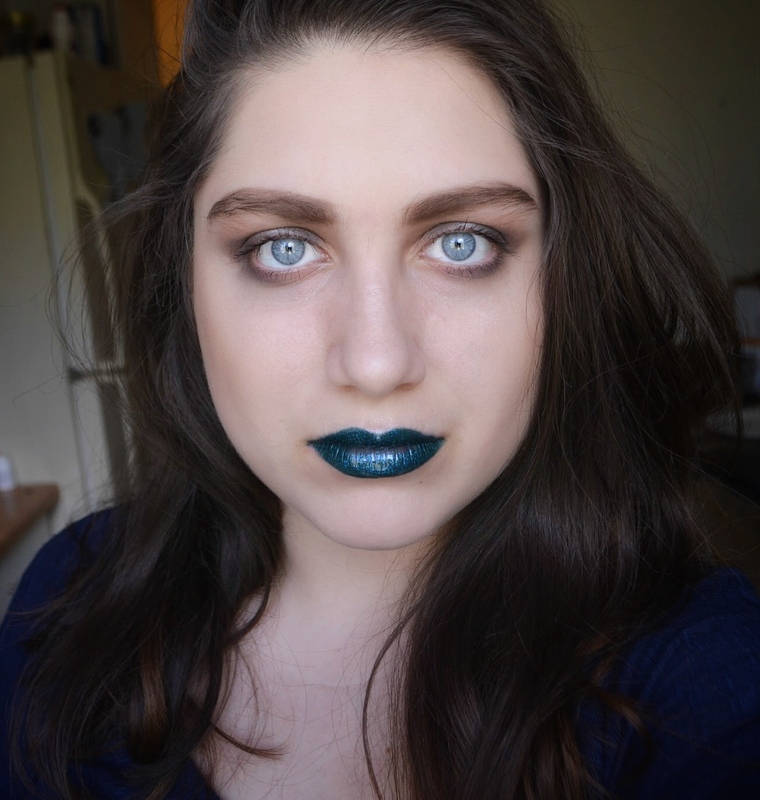 If you want to chat makeup or collaborate, send me an email at whimsicalchickblog@gmail.com. Okay, I am totally obsessed with this @hercampus Influencer Her Essentials Kit! This Fall Kit contains some must haves for going back to school 😍 A huge thank you to @influencehercollective for sending this to me! #ad . First off, it came with this funky feather patterned backpack from @highsierra_usa. It’s gigantic and can fix textbooks, a laptop, makeup, and basically anything you’d need to bring on campus. I love all it’s pockets, bc I need that organization 🙌 . I also LOVED the @almay Goddess Gloss; these glosses are shimmery and moisturizing, and give you an awesome iridescent shine. Swipe through for swatches! 💋 . Moving on, I received a bajillion @blissworld Lemon Sage Body Butters. I normally don’t like body butters because they tend to be greasy, but this one is surprisingly lightweight. I’ve given away a few to friends, and they love them! 👍🏻 . The @gardenoflife GOL bars are a great way to refuel between classes, when there isn’t quite enough time to hit the cafeteria. Each bar contains 12 grams of protein and they are certified USDA organic. Yum! 😊 . The last item in my kit was a silky sleep mask from @hcxo.shop and it is seriously the softest sleeping mask I’ve ever tried. It’s hard to study when you’re exhausted, so treat yourself to a good night’s sleep! Here's a closeup of my skin, with the @bobbibrown Mattifying Primer and Skin Long Wear Weightless Foundation! ☺️ Once applied, the primer feels tacky rather than slick – but it dries down weightlessly in just a few seconds. It does a great job of filling in the pores in my T Zone, and it creates a matte base. I’ve paired it with foundations that usually break down in the heat, and it keeps them in good shape for a couple extra hours! ☀️ The Skin Long Wear Weightless Foundation is seriously one of the best looking finishes I’ve ever seen! It is matte without being drying, and full coverage while still looking natural. It blends easily, and doesn’t budge ALL day, even in the heat. 😍 My only issue with it is that it feels sticky, even when I set it with a lot of powder. For a full review and pictures, head over to my blog! If you haven't heard of @Medusas_Makeup, check them out! They sell wildly colorful, 100% vegan and cruelty free cosmetics. Their eye dusts are my favorite, and completely magical. Here's a look at their July Beauty Box! Here's my guilty little secret: sometimes I keep my hair up in a bun for weeks at at time. I take it down to wash it and for photos, and leave it up most of the rest of the time. It's just so long and thick, and way too hot! So, as you can imagine, I have some pretty gnarly hair from it rubbing against my crappy elastic bands. That's why I love this Bamboo Miracle Reconstructor treatment from @trueplexhair! You can use it as a weekly treatment, and leave it in your hair for 15 minutes. Or you can do what I do and leave it in for a couple minutes each time you shower! It works miracles; I'm running my hand through my hair without resistance (which I haven't been able to do in like a month). Seriously, how gorgeous are these lashes from @privatelabelextensions! I'm wearing the style "Lotus", but I've cut them in half and just applied on the outer corner. I think it gives a more flirty, doe-eyed look. Plus, it makes it easier to apply, and doesn't weigh down your eye nearly as much as a full lash. Private Label Extensions offers mink lashes and faux volume lashes (I'm wearing a faux style). Faux lashes are $6 each, and mink are $8.75 each. They are super affordable, and high quality! If you are looking for some new lashes for summer, definitely check them out! Here's a closer look at the EOS Crystal Balm I posted about earlier! I love that you can see right through it. 😍 It costs less than a Frappuccino, and delivers weightless hydration all summer long. A lot of balms contain wax, which actually dry out your lips in the long run. The EOS Crystal Balm uses oils such as avocado oil and sunflower seed oil to truly nourish your lips. A huge thanks to EOS for letting me try it out! New blog post is up! Click the link in my bio to read about three ways to keep your lips hydrated this summer. Hint: One way includes this really awesome EOS Crystal Balm! EOS sent me a free sample of the Hibiscus Peach flavor, and I've really been loving it. It is wax free, so no greasy feeling. Instead, it uses nourishing oils for weightless hydration!